Police chase series comes in exciting colourful graphics resembling some elite police force vehicles. 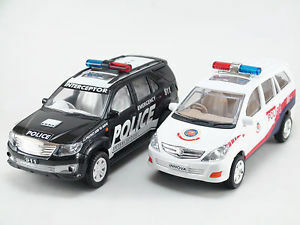 In our country, kids love playing with these police vehicle toy models and store them as their collectables. All police chase series toys are non battery operated models each fitted with pull back mechanism.